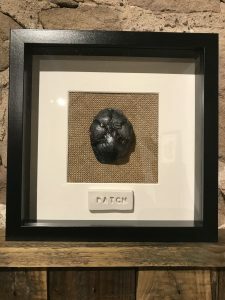 Old Flatts Farm are proud to be working alongside artist Steven Mott. 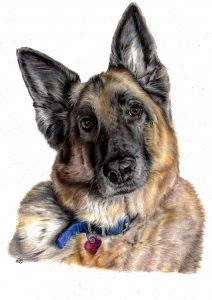 Steven is an exceptional artist who specialises in pet/ animal portraits with a hypo-realistic feel. 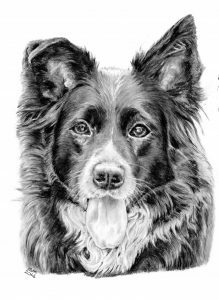 Living in Dinnington, Stephen works from home using photographs of your cherished pet to produce these stunning bespoke portraits. For a truly unique lasting memory. 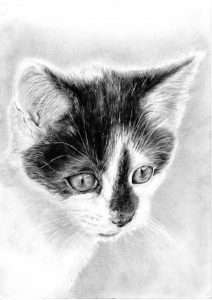 You can choose between colour or black-and-white. 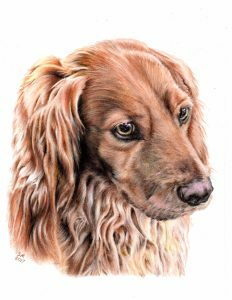 Each portrait comes mounted and framed and are produced in two different sizes, 10 x 8 or A4. Each piece takes around 5 to 6 weeks to complete, so please be patient but everyone is totally unique and individual. 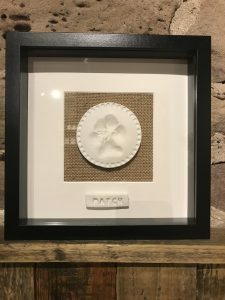 One of the most common keepsakes I’m asked for by pet owners are paw prints – We’ve teamed up with local art and craft genius Claire Hale to produce these bespoke paw related keepsakes. 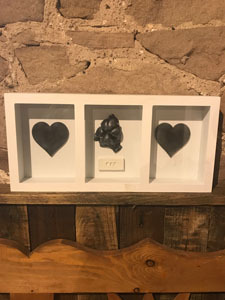 All pieces are individually produced and are the actual print/cast of your cherished pet, so are totally unique. 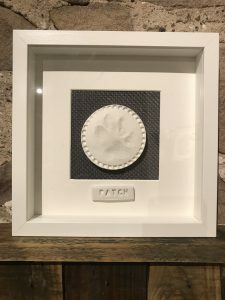 Choose between a black or white box frame and all include a 3D hand made name plaque.